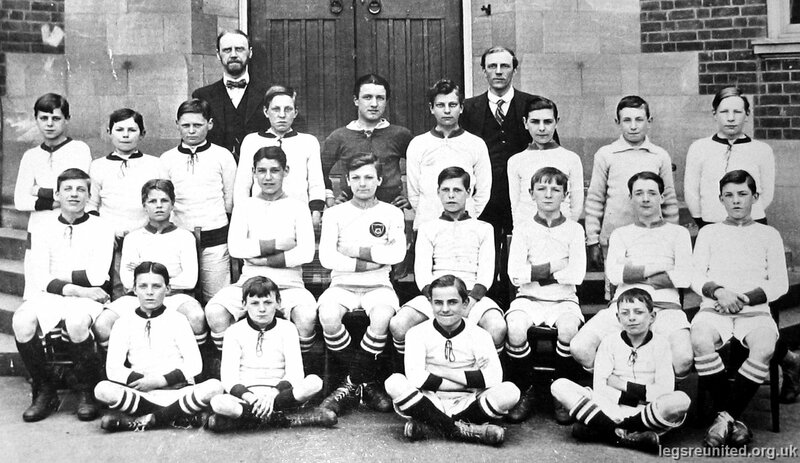 AT BACK: Mr Samuel Clegg (Headmaster) and Mr Attenborough. BACK ROW: R A Beardsley, G H Burton, J J Watts, A Webb, F E Colton, D Brownlow, F R Hogg, N Brecknock, C E Morris. MIDDLE ROW: T A Stevens, J H Davis, J W L Keeley, J T Wilcockson (captain), H Hollingworth, F D Newsum, A E Street, C W Kingscott. FRONT ROW: G H Keeley, I Wilcockson, J V Goring, J H Kelly.